Bio: Dan Davidson is the Lead Pastor of Rose City Church in Pasadena, CA; a historic Free Methodist Church he and team reopened in 2011. Dan is also the co/founder and Executive Director of Rose City Coffee; a barista training program for homeless and transitional-aged youth soon to open as a local coffee shop. 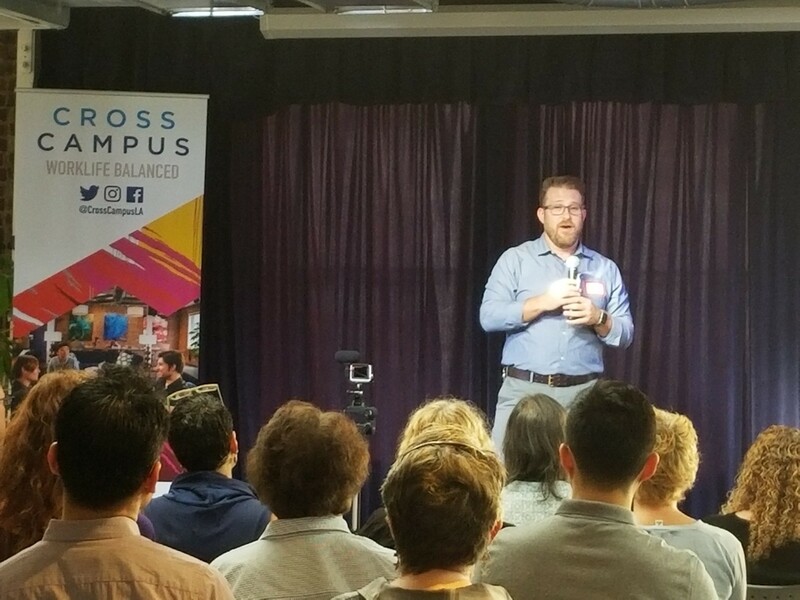 Most recently Dan led a team to open Rosebud Coffee as a local cafe in the City of Pasadena to hire the youth trained by Rose City Coffee. As a socially minded cafe, Rosebud seeks to help the emancipated youth of our city flourish while also providing a space for community events. Dan enjoys collaborating with the City of Pasadena, local businesses and non-profits who share the same goal of ending homelessness and improving the lives of local neighbors. Dan believes that with such partnerships the relationships that keep communities healthy will thrive. This sounds like an interesting topic for tomorrow morning’s coffee. Checkin: Cross Campus Old PasadenaInnovate Pasadena Friday morning coffee meetup.